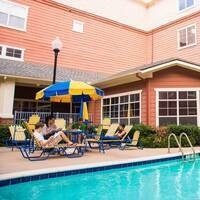 Prairie Crossing Apartments houses the Honors College, Regent Scholars, and Graduate Students with a GPA of at least a 3.00. Being a resident at Prairie Crossing Apartments is more than just having a room; it's an opportunity to be a part of a community of scholars. Living in Prairie Crossing Apartments opens the door to interacting with other students and developing close relationships with faculty and administration through academic and social programming.